One really fun tradition that’s on nearly every baby shower invite I receive is to bring a book to the baby shower for the new family to add to their collection. We love giving books at a baby shower. Now that I have a child, it’s a fun way to give books that my son really enjoys. It’s also a great way to see what other parents are reading to their kids! Picking a book to give at a baby shower can be a tricky game. You’ll want to pick something they’ll definitely read but not something they may get four of. 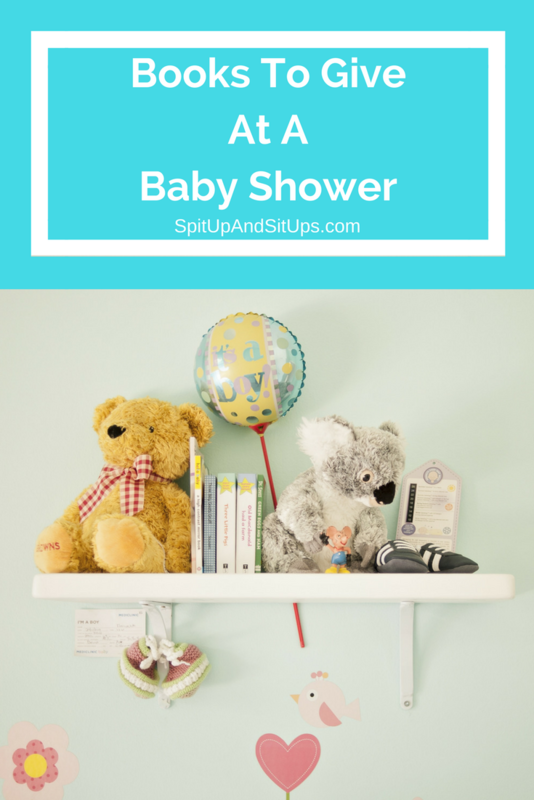 This list of books to give at a baby shower includes everyone’s favorites, some new books that need to be considered, and fun soft books for baby to play with. 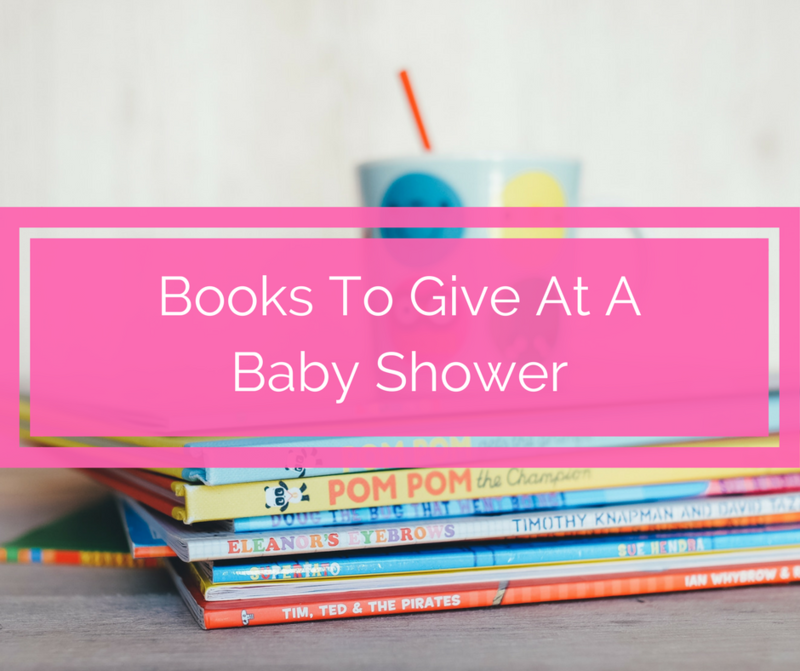 There are some other books you should consider when giving books to a new mom for her baby shower! The list for you below if you definitely want to please the new mom with something she may not have seen before! These books are tried and true in our house. I’ve included my affiliate links because we own and love the books I’ve written about. Please read my Disclaimer and Disclosure Policy here. 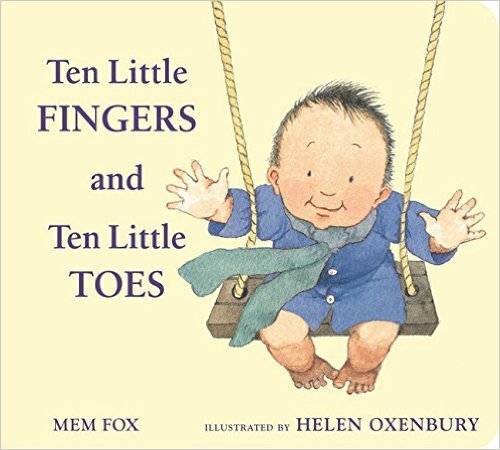 Ten Little Fingers and Ten Little Toes is a sweet book that features babies from all over the world and shares the one thing they all have in common – ten little fingers and ten little toes. The Baby Touch and Feel books are a perfect gift to give at a baby shower. A few of our favorites are Trucks and Animals. We bought our Touch and Feel books when Ri was about 8 months old. He was just starting to get into everything. The Touch and Feel books are a great way to engage with a child, start teaching sounds, and learn how certain things feel. 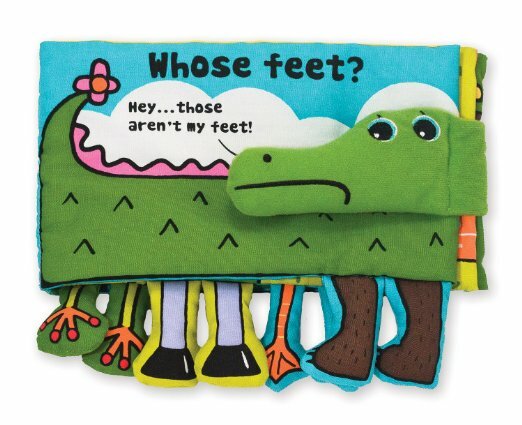 The Sandra Boynton board books are our favorite! The books are board books and make a perfect add-on gift. The board books are perfect for babies who just want to rip all the things. I love board books because they really hold up well against my toddler. Our favorites are Barnyard Dance, Pajama Time, and our new bathtime favorite Barnyard Bath for the tub! Dear Zoo is a lift-the-flap book which surprisingly my son hasn’t destroyed yet. This was one of the first books I read to Ri! 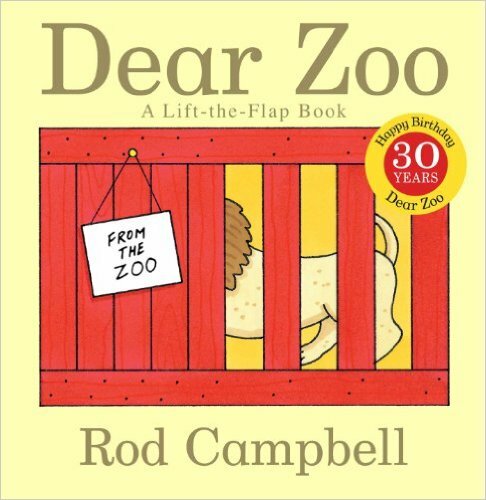 This book is a great way to engage with babies by lifting the flap and making animal sounds. 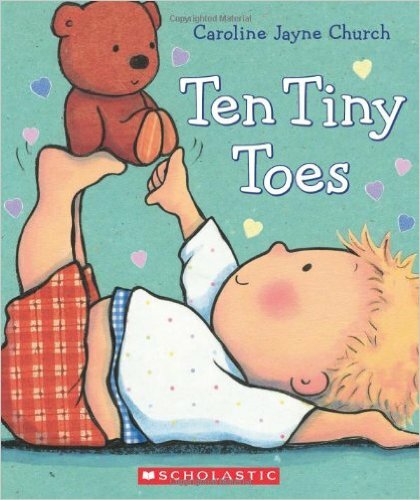 I have probably read Ten Tiny Toes to Ri at least twice a week and have for nearly two years. It’s a sweet book and now that he knows his body parts and can follow some direction, it makes it a fun book to read! 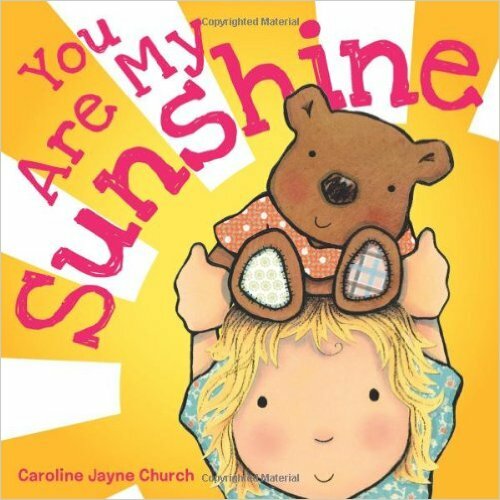 You Are My Sunshine is the first song I sang to Ri when we had a moment to ourselves in the hospital room. I can’t sing it without crying! This book is beautifully illustrated always brings tears to my eyes. 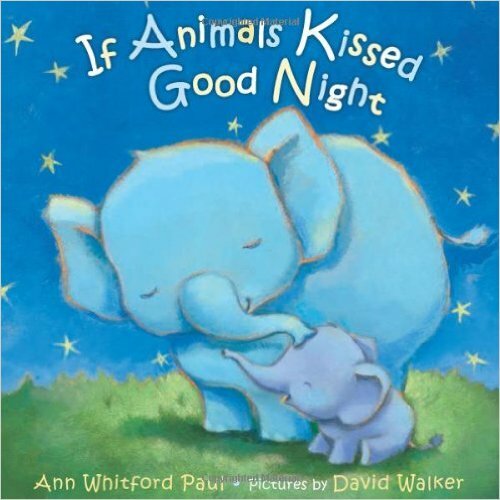 If Animals Kissed Goodnight is such a sweet bedtime story. You can make animals sounds along with the book and mimic how the animals kiss! These books are classics if you want to go that route when giving books at a baby shower. Classics are always a crowd favorite. Most people light up when they see a book they’ve been read or read to their children. One drawback about giving a classic book to an expecting mom is that a few copies of the classic book at her baby shower. Include a thoughtful message in the book especially if it’s not a board book. When you’re thinking of a book to give at a baby shower, go with giving the sentimental one with a lovely handwritten note for the mom-to-be. Guess How Much I Love You is a classic and always gets me teary eyed. I recommend always getting the board book, but for a classic like this one if you’d like buy both books for the new mom! The hardcover with pages will sit on a shelf while the board book will get the most use first. 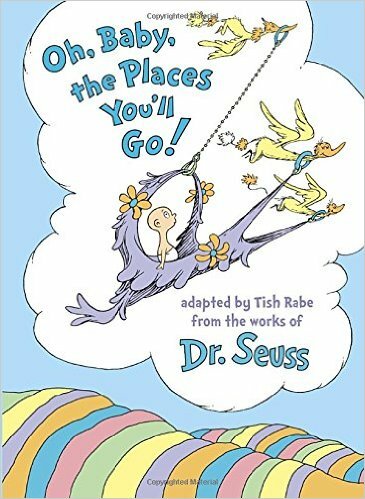 Oh, Baby, The Places You’ll Go is the new version of the classic “Oh, The Places You’ll Go” specifically for babies. The book is designed to be given at baby showers making it a wonderful gift. It’s a new book, but classic illustration by Dr. Seuss. Any Dr. Seuss book is a great gift. Now that my son is a toddler, we are reading tons of Dr. Seuss books to him because repetition is great for learning language! 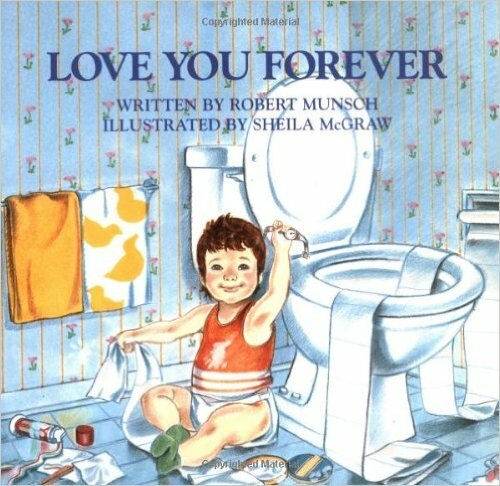 Going back to getting a sentimental book, Love You Forever is sure to bring all the feels to the new mom. I see the cover of this book and I start to tear up. It’s a story all moms can relate to and is timeless. Place a note on the inside of the cover with a heartfelt message to the new mom. 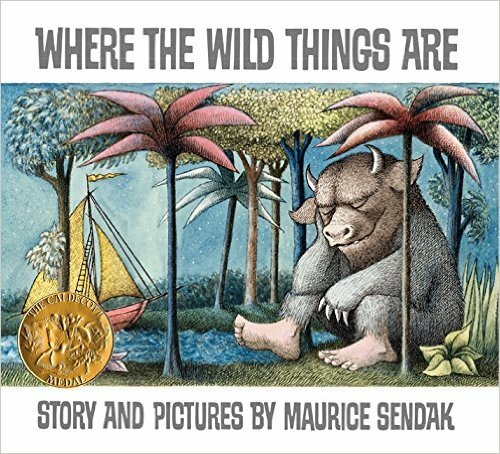 Where the Wild Things Are is a wonderful story told with beautiful and engaging artistic drawings. I remember reading this story as a child and now I read it to my son. This book was given to us by my in-laws because it’s my father-in-law’s all time favorite. My sister gives Goodnight Moon at every baby shower. This book is the perfect bedtime story book to read to your children nightly. 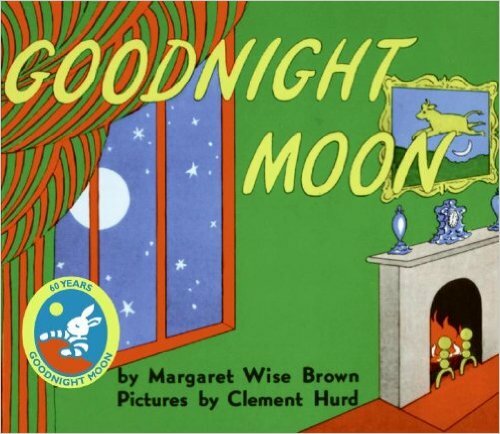 We always say “Goodnight Moon” before heading to sleep. 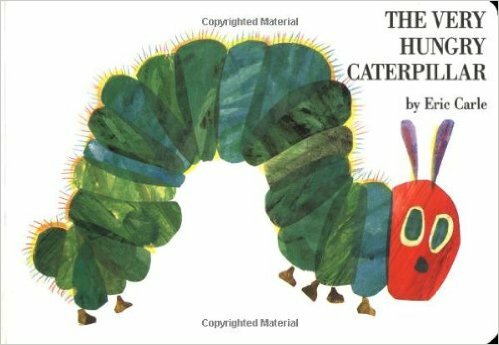 The story The Very Hungry Caterpillar is one I go back to over and over again. The pages are different sizes as the caterpillar makes his way through food! My son really loves it now, but it was great to see his eyes light up at the different colors, different size pages, and the tiny little holes the caterpillar left. The soft baby books are one of the first toys a baby will play with! Once baby is learning to grasp and feel, these books make excellent toys. Each page is something different to feel, touch, or grab. We still use our soft books! 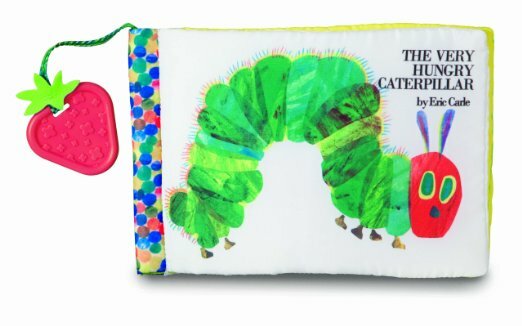 This soft baby book for the classic The Very Hungry Caterpillar doesn’t offer much for reading, but there are crunchy crinkly pages, a teether, a squeaker and bright vibrant pages. This is a great intro to lift-the-flap books for a little one! 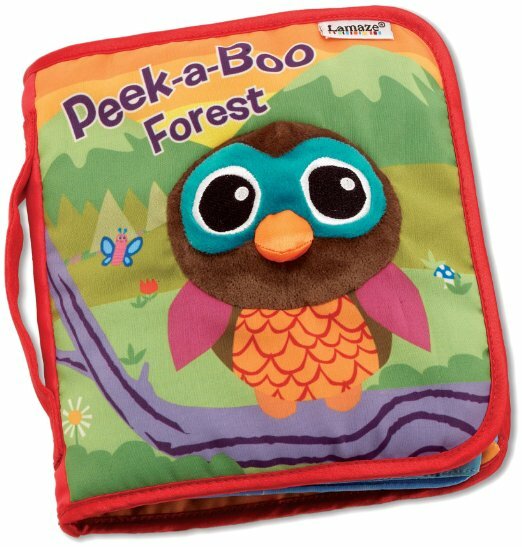 Peek-A-Boo Forest has fun crinkles, bright colors, and the ever-fun flap to entertain baby. Kids love flipping pages so the flaps are pretty exciting to them! Whose Feet? is a Melissa & Doug soft activity book. It’s super cute with the feet of an animal dangling. There are crinkles and squeakers in this book! 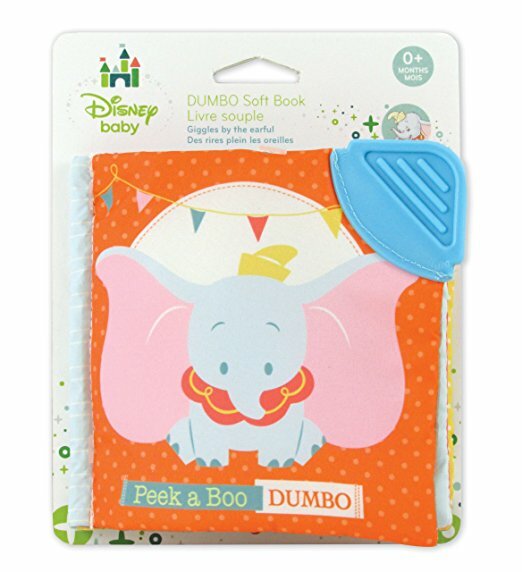 Dumbo is a classic Disney movie and this little book is great for infants and babies. There’s a teether on the corner of the front page, peek-a-boo pages, and bright engaging colors. Give board books if available. This might be a mom pro-tip, but a baby will pretty much destroy anything with paper pages. The board book actually has a shot at seeing beyond the baby’s first birthday. Write a note to the baby! This is so sweet and makes books that much more special. Think about what the parents enjoy. If they’re avid baseball fans, purchase a book related to baseball! This is a really thoughtful way to give books at a baby shower that are sure to please. Books that can be read later are a fantastic gift, too! I mean, you can definitely start reading Harry Potter to your child once they are born, but it’ll also be good for them to revisit when they can really capture the magic. Don’t give baby tutorial books. This might be an unpopular opinion, but let the new mom have one day where she’s not scared as all hell and can look at cute clothes and flip through all the books she’s going to read to her sweet little one. Save the Happiest Baby on The Block for when the baby arrives. Books are a fun and personal gift to give at a baby shower! Picking out the perfect book to give at a baby shower can be tricky, but this list is full of books that will please the new mom and baby. Have you ever given a book at a baby shower? Have you received books at your baby shower? Comment with your favorites below! This is a great list! Books are an awesome gift for a baby shower. I actually haven’t heard of about half of these! I’m so glad you love the list! You can never go wrong with some Eric Carle or Karen Katz books. I loved the personalized notes too! This is like taking a peek into my daughter’s bookshelf! These are all great picks. This is such a great list! We have several of these and they are great hits. I love the Caroline Jayne Church books. My daughter’s favorite is her Giggle book! Thanks. I am attending a shower in a few weeks and these are some wonderful suggestions. How fun! Don’t forget to include a personal note! Great books! 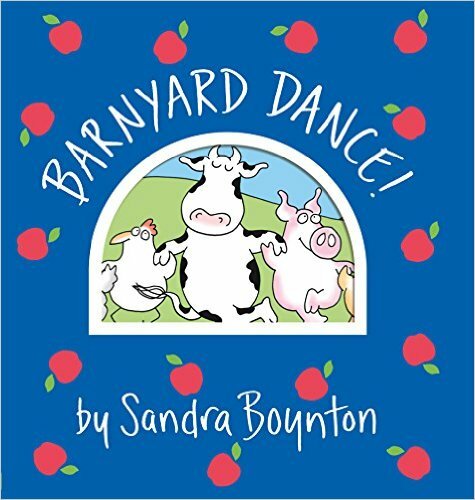 We love all things Sandra Boynton and I’ve given several of those as baby shower gifts. 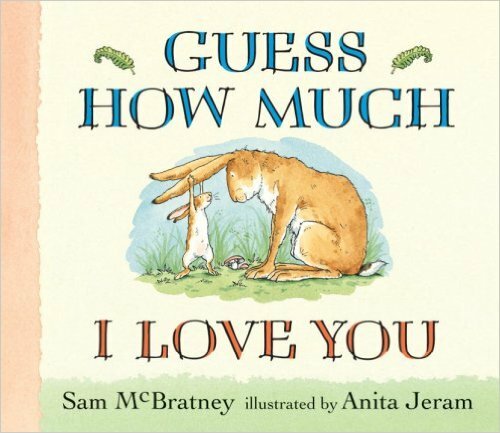 I also love I Love You Through and Through by the same author as Ten Tiny Toes. Where the Wild Things Are has such wonderful illustrations! My family thew me a surprise “Book Shelf Baby Shower,” where they filled new book ledges for the baby-to-be’s room with books for the first few years. What I loved most about the books was that they reflected the givers. There were none of the “baby classics” you think of, but bigger, more challenging reads that reflected each person’s personality (my mom, for example, gave me Amy Krouse Rosenthal’s excellent Exclamation Mark). I’ve always loved the idea of giving books at baby showers. My daughter got Peek A Boo Forest at hers – it was always one of her favorites! One of my favorite kids books for young ones is The Runaway Bunny. It’s a great little story about the endurance of mom’s love. Great choices listed here, we give books for pretty much anything! Really cute books. I love them all! I will have to check those books out!